Patrick Morrissey is pro-life. 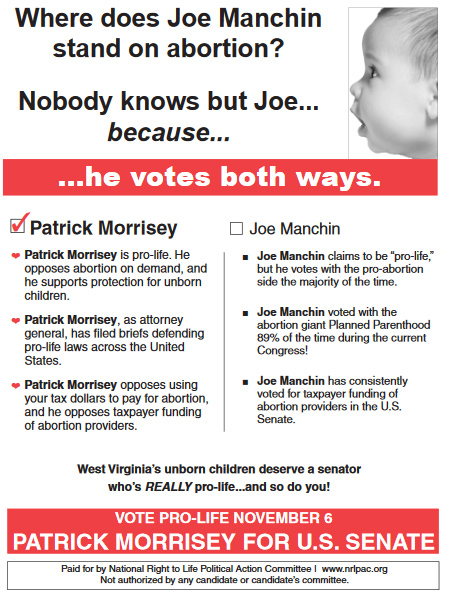 He opposes abortion on demand and he supports protection for unborn children. Patrick Morrissey, as attorney general, has filed briefs defending pro-life laws across the United States. Patrick Morrissey opposes using your tax dollars to pay for abortion and he opposes taxpayer funding of abortion providers.